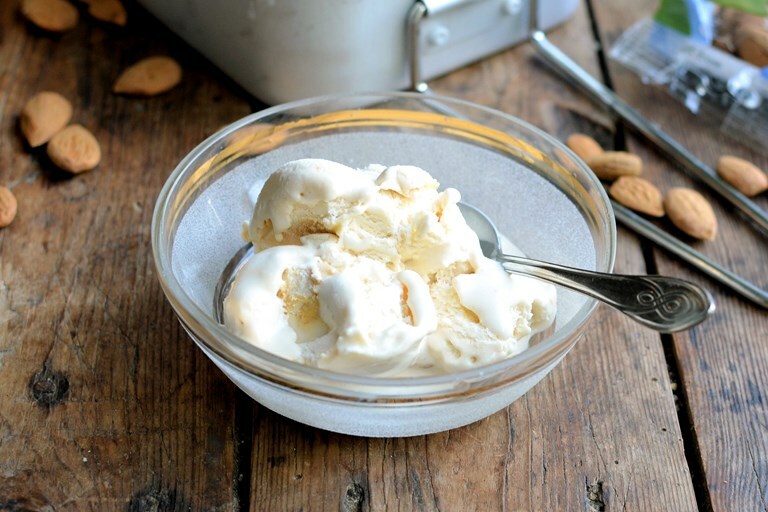 Karen creates a deliciously creamy almond milk ice cream, a perfect dairy-free ice cream for anyone looking to avoid traditional ice creams with cream, eggs or milk. Ice cream is always a favourite dessert for lots of people, especially children, and I have fond memories of jelly and ice cream at birthday parties when I was little! I am a huge fan of salted caramel ice cream as well as toffee ice cream and zingy fruit sorbets. But, what happens when you have an intolerance to dairy products such as milk and cream, or even eggs...? Well, there is hope for people who think they can’t enjoy a big bowl of this creamy dessert, with a dairy-free alternative. My recipe is a fabulously creamy vegan ice cream made with no dairy products at all! This luscious ice cream is made with almond milk and is packed with toasted almonds for an extra taste and crunch sensation. It’s made with just four ingredients, and will certainly put a smile on the faces of all those with a dairy intolerance. We’ve enjoyed it twice in our household, and even though none of us have an intolerance to dairy products, the verdict was that it tasted as good as ice cream made with eggs, milk and cream. 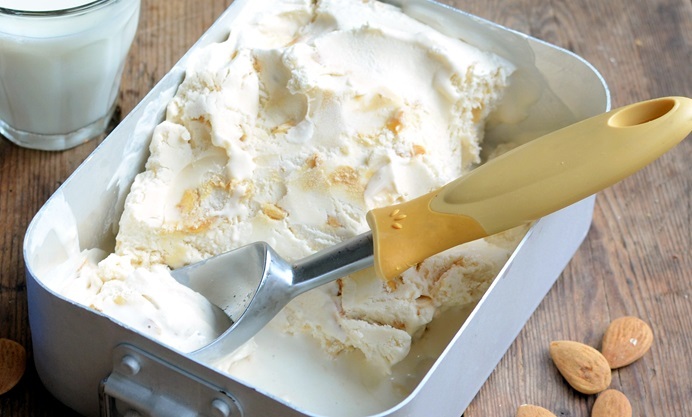 It is easier when made in an ice cream maker, but if you don’t have one, just keep taking it out of the freezer every hour or so to mix it after it has been decanted into a container; this stops any ice crystals forming and makes it extra creamy. See also our how to make ice cream guide.